Summer is approaching and if you live in the DMV than you know crab season has begun! 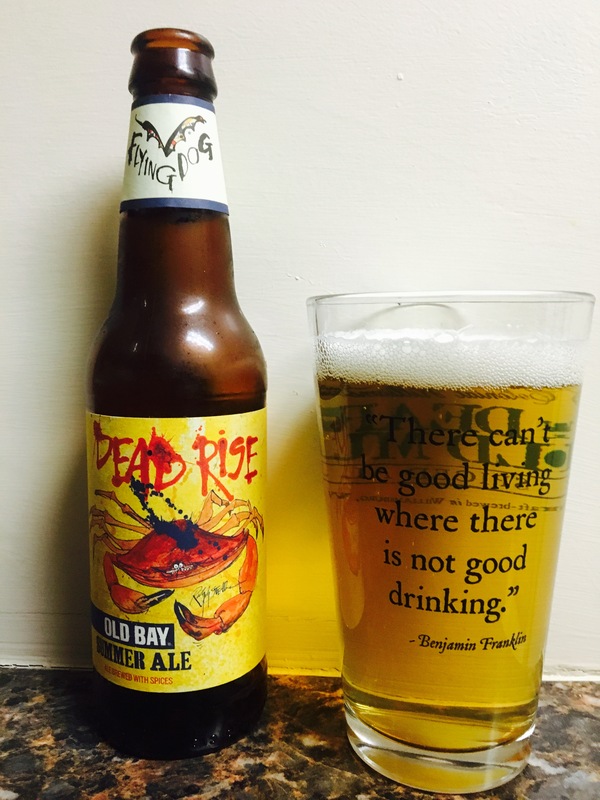 Well Flying Dog has once again produced their “Old Bay” Summer Ale, Dead Rise. There no such thing as too much of a good thing and for those of us that put Old Bay on everything than what could be better than putting it in your beer. When I drink this beer it makes me think back to the days of picnic tables covered in newspaper and crabs. Friends, family, good food and beer. It doesn’t have the highest Alc content at 5.6% but it will allow you to enjoy it all day in the sun while gouging your fingers for that sweet crab meat. The burning sensation of old bay in a cut and the sprinkles of it that always seem to get into your beer are some of the best times. The old bay isn’t overpowering it’s just enough to trigger some great memories and savor the flavor. Take a chance and enjoy this beer with some friends. 4 stars.